A Family Wreath of Gratitude. Just a quick, last minute Thanksgiving idea for you! I caught a glimpse of this pin by Family Fun Magazine the other day and I knew I had to cookie it immediately. It is perfect for a family gathering, easy to execute, and a super way to get the kids thinking about what is important to them. Here’s our edible version of a gratitude wreath. Food writers are so fabulous. If you make decorated cookies, I highly recommend they be in your arsenal. Make sure the icing is fully dry before you use them though, or you’ll poke holes in your pretties and that’s not fun. For this project, I made simple leaf shaped cookies and let the icing dry a day or two. When they were good to go, we got thankful. Man, I better stop with the Thanksgiving cookies or there will be WAY more than my family can consume next week…. 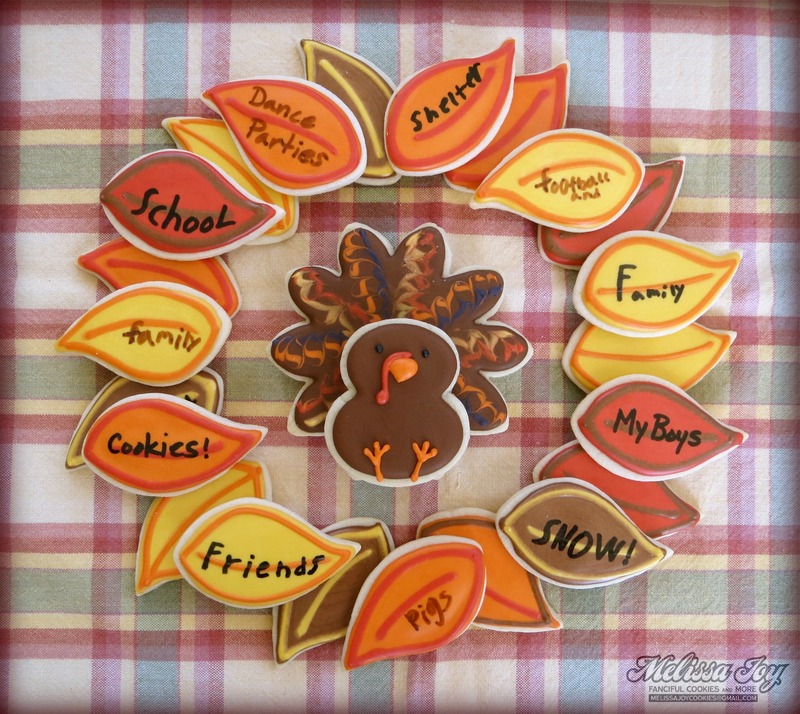 This entry was posted in Cookie Tutorials, Fall Cookies, Giving Thanks Cookies, Thanksgiving Cookies and tagged cookies for kids, family gathering, gratitude, leaf cookies, turkey cookie. Bookmark the permalink. 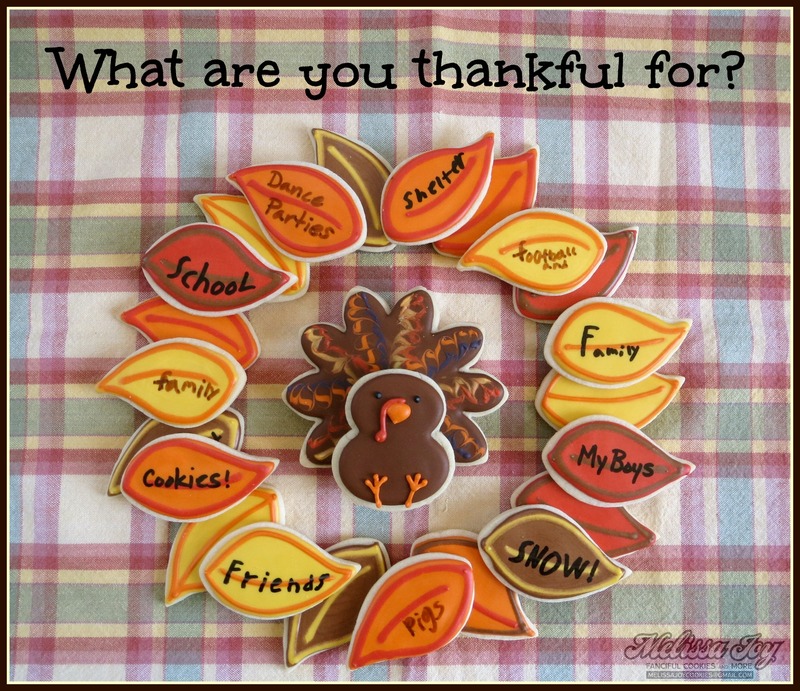 ← My Favorite is Thanksgiving.